Khaadi is a top everyday life brand of Pakistan and now the latest Khaadi Pret Spring collection has been launched by the brand. You will get special designing of Khaadi in all the suits that range from casual to formal. In Khaadi Spring collection, you will get a new look with trends designs that include several prints and cuts of modern fashion. This latest collection of Khaadi Pret Spring is best for women of every age due to availability of several options. 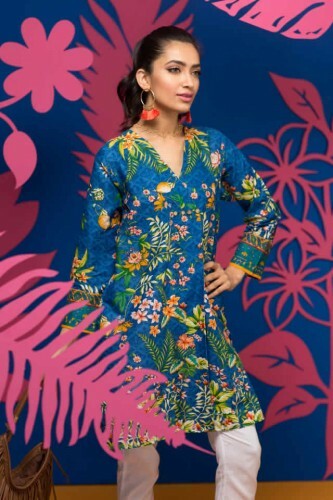 Khaadi’s creative director told that the dresses with prints and patterns according to spring and summer season are included in this collection. Women of every age with like this collection due to combination of traditional and modern cuts and pieces.